Choosing a firearms trainer based solely on price makes as much sense as choosing a skydiving instructor based solely on price because when your life is on the line, it's the effectiveness of their training that matters, not the low price that you paid. Someone who is committed to excellence. In many states, the minimum amount of training needed to teach concealed carry is an instructor certification in a basic, introductory course such as NRA Basic Pistol curriculum. This represents the bare minimum though, and in most states, a concealed carry permit class is a licensing class, not a class in the effective use of a defensive firearm. A good firearms instructor will have many, many more hours of training beyond the minimum needed to teach a concealed carry class. Someone who lists their sources. I've taken classes from major training centers that never mention anyone other than the people associated with their school. These schools taught situational awareness using a Color Code to describe your alertness level without mentioning it was Col. Jeff Cooper who came up with that idea. They also taught the Weaver Stance without saying who invented it, giving their students the impression that everything we know about firearms training came from their school. The fact of the matter is, everyone who trains people in the safe use of firearms owes a huge debt to those who have gone before us and acknowledging that debt and understanding how the past affects the future is a sign of a trainer who is interested in imparting knowledge, not creating followers. Someone who has multiple sources. The broader the trainer's knowledge base, the more options they will have to diagnose and correct a student's issues with learning to shoot well. Also, because they are not locked into one way of thinking, trainers who have a wide variety of sources tend to come up with more innovative and effective training techniques. Look for instructors who have taken courses that require a measured, standardized test of some sort to become an instructor, such as Rangemaster or Massad Ayoob Group, because trainers who have needed to pass a shooting test and safety procedures tend to pass on an element of intellectual rigor and accountability into their teaching process. I have nothing but the greatest respect for our military and law enforcement, but the jobs they perform are different than the job I have to perform. 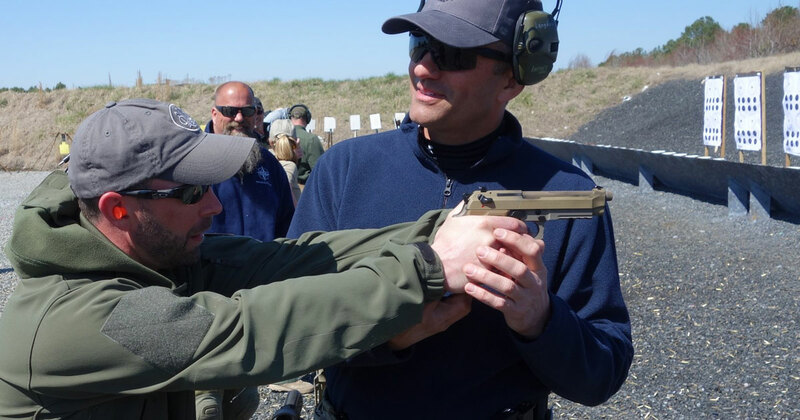 Therefore, the firearms training that the military and law enforcement receive is designed to accomplish different tasks than the tasks I need to accomplish. If the firearms instructor you're considering has combat experience or is a seasoned police officer, that's great: Just make sure they also have some training that augments what they've learned in the service and will help translate that service in a way that is useful to we armed citizens. Someone who understands the value of competition. When it comes to gun handling under pressure, nothing short of actual combat will show you what is working and what needs improvement more than shooting a practical pistol match. Even some of the most elite troops in the Army have learned that performing a simple task like hitting a target 10 yards away can become a Herculean feat under the simulated stress of a timer and the gaze of one's peers. Competing in a practical shooting match helps you apply what you learn in training class to a situation that more closely resembles the street. This is important because, as noted trainer Massad Ayoob once said, "a shooting match is not a gunfight, but a gunfight is most definitely a shooting match." Someone who encourages wider training. Simply put, any instructor who doesn't encourage you to train with other trainers has his own best interests at heart, not yours. No one firearms instructor has all of this all figured out, and if your trainer is not comfortable with you learning from other instructors, he or she is more worried about getting repeat customers than developing knowledgeable students. Someone who is also committed to learning. If the last class your instructor took was during the Bush administration (the George H.W. Bush administration), their techniques are probably not the ones you want to learn. 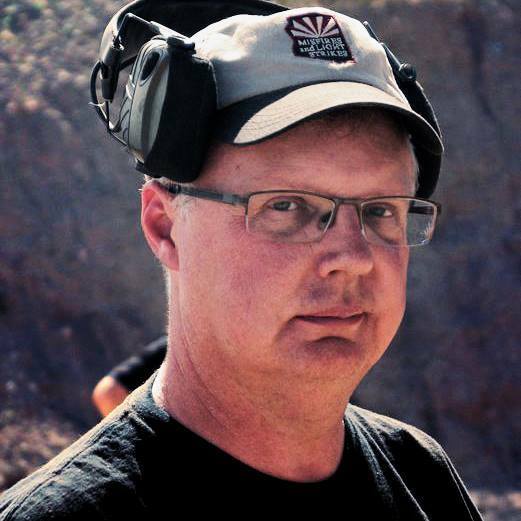 An instructor who has recently taken classes from another instructor will have more current, effective teaching methods that use more modern theories of instructional learning and firearms technique. Lastly, your instructor should focus on the teaching the students who are in his or her class, versus standing up in front of them and going through the motions or using their training class as a political pulpit. Defending the right to keep and bear arms is important, but so is creating skilled and capable firearms owners. A good instructor knows that people are there to learn about guns, not about his or her opinions on the politics of the day. A firearms instructor who's committed to excellence will also be committed to instilling that drive for excellence in his or her students, making them safer, more prepared gun owners.